The original Nova class first entered service in the late 24th century as a science and scout vessel. 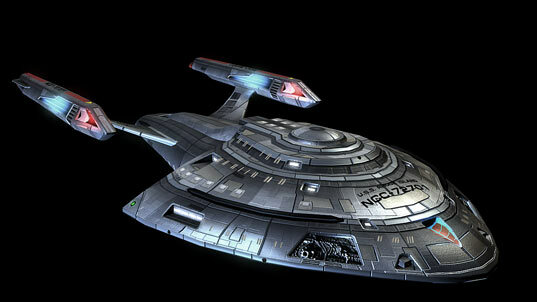 The ship was refitted in the early 25th century with a new look and updated technology. The first of the Science Vessel Refits was the U.S.S. Rhode Island, commanded by Captain Harry Kim. Science Vessel Refits come standard with a Photonic Displacer Module. This console module can be used to generate a photonic duplicate while masking the ship's energy signature -- a perfect decoy. The Photonic Displacer Module can be equipped on any Science Vessel in any console slot.